My Mom-Friday: Harry Potter is in the house! It's gonna be a happening Holloween weekend this year and the boy and the girl could not wait 'coz they missed last year's revelry. Problem is, the girl is already eying on being a darker character this time and is hell bent on snatching away big brother's black cloak! Transformer's Bumble Bee and Ironman are currently in hiatus so I was really pushing for Harry this year. At first, the boy still pictured himself in either one of his anatomically-correct-upper-body-muscle-padded superhero costumes. 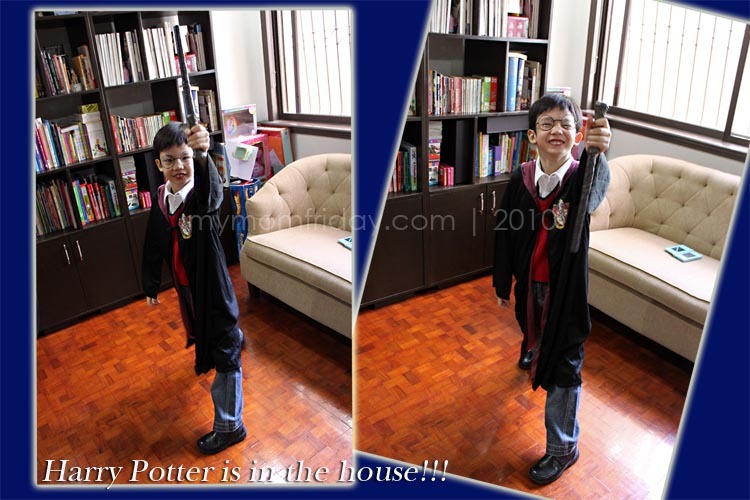 After much prodding, he eventually began to appreciate and take on the character of the lead wizard from the house of Gryffindor. Opening a secret door behind the shelves??? THE CONFLICT: Little girl is dampening his mood and trying take over the wardrobe for herself. She is Tinkerbell no more! The mischievous little She-Devil got her way one time, here in the same dark cloak paired with her blinking red horns (which also belongs to the boy! 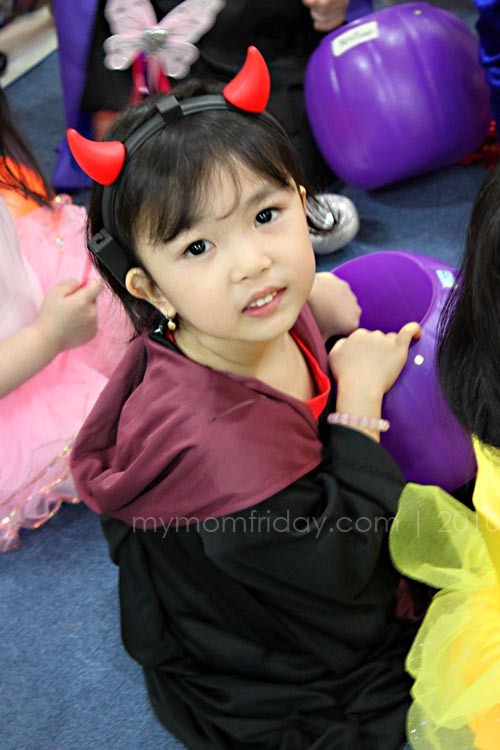 ), at her school's Trick or Treat party. 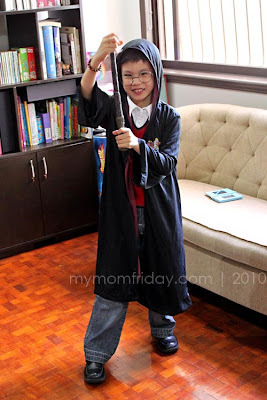 Let's see who gets to wear this 'magical' cloak on Holloween. The Wizard or Lucifer's minion? Find out who missed the treats last year, click here. Stay connected and Follow me on Google friends, Facebook and Twitter @mymomfriday, or Subscribe here via email and get the latest updates!